With that in mind, we’re now making Google prompt the first choice when users turn on 2SV (previously, SMS was the primary choice). 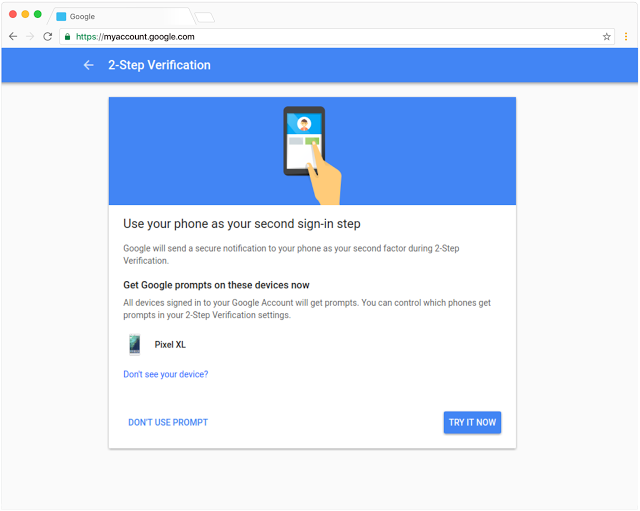 Once 2SV is enabled, users will still have the option to set up SMS, the Google Authenticator app, backup codes, or Security Keys as their alternative second step. 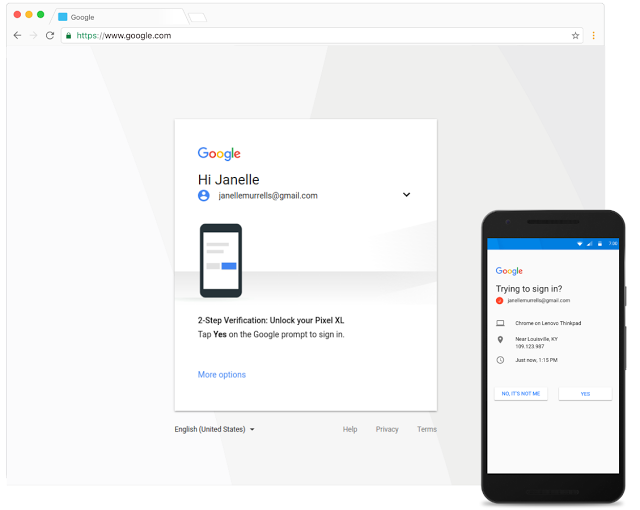 G Suite Enterprise domains can choose to enforce Security Keys to meet more advanced security requirements.